Are you going through a divorce or dealing with child custody issues in California? You need an experienced divorce lawyer to guide you through this intricate and confusing process. Make sure you understand all the aspects of your legal separation by consulting with a Torrance family law attorney that has dealt with these legal issues before. Contact me, Stuart E. Bruers. I have over 21 years of experience in Torrance as a family law attorney and am ready to represent you. My experience spans a variety of legal practice areas beyond family law, including criminal defense, real estate law, and probate and estate planning. Over the past over 21 years, I have expanded my practice to meet the needs of my clients into areas in which I excel as an attorney. 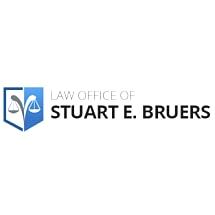 Most of my business comes from referrals because clients appreciate the personalized attention they receive at the Law Office of Stuart E. Bruers in Torrance. As a family law attorney, my goal is to keep my clients informed about their case and to give them the best legal representation available for their dollar. I remain accessible to clients and offer evening and weekend appointments, taking walk-in appointments when available.